An astonishing literary debut centred around four students as they apply to medical school, qualify as doctors and face the realities of working in medicine, from a powerful new voice in fiction. In this beautifully written collection, Vincent Lam weaves together black humour, investigations of both common and extraordinary moral dilemmas, and a sometimes shockingly realistic portrait of today's medical profession. We are introduced to a group of medical students over ten years, following their interlinked stories as they make the transition from medical school to hospital life. The stories span the unique challenges faced by young, inexperienced doctors - having to decide during a first human dissection whether it is more important to follow the anatomy textbook or keep a tattoo intact - but also delve into their private lives, their relationships and family histories, their fears and motivations. 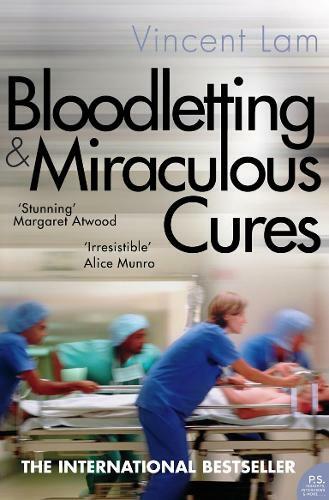 Riveting, convincing and precise, `Bloodletting & Miraculous Cures' looks with rigorous honesty at the specificities of the lives of doctors and their patients and brings us to a deeper understanding of the challenges and temptations that surge around us all.